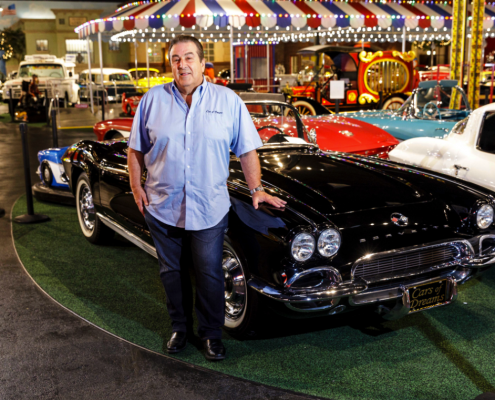 Hot Rod Network – An Interview with John Staluppi, Owner of the Cars of Dreams Collection to be Sold at Barrett Jackson in April, 2018. 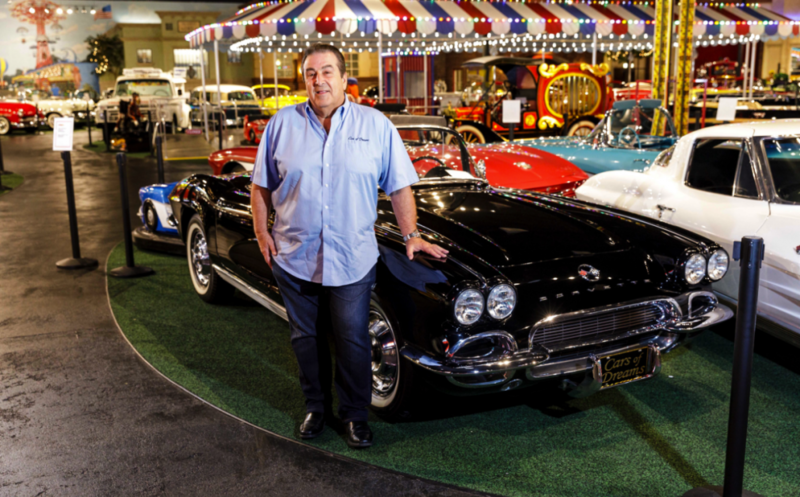 For nearly fifteen years, TV viewers of the popular Barrett-Jackson collector car auction have come to know John Staluppi for his solid taste in post-WWII American collector cars and his fierce ability to knock out virtually any opponent with a seven-figure bid. 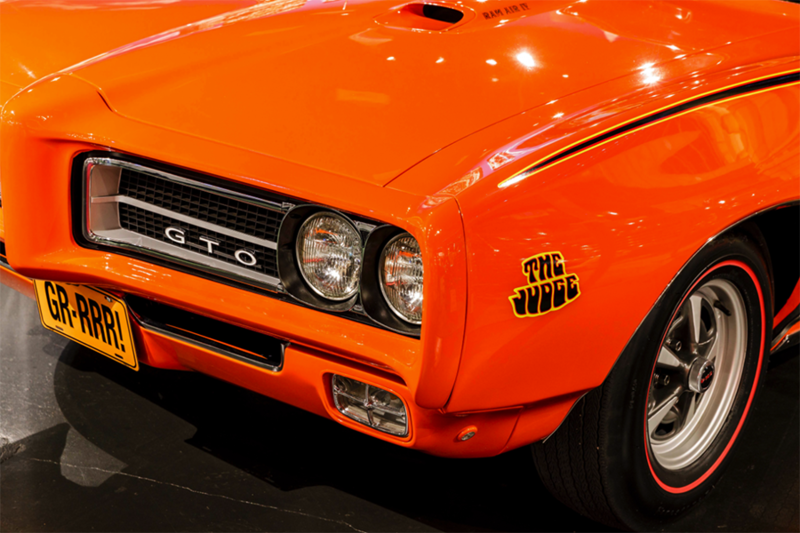 Though Barrett-Jackson bidders come in all shapes, sizes, and tax brackets, Staluppi made his mark thanks to a pint-sized lap dog named Dillinger. A Maltese breed of canine, Dillinger was trained to bark on command. So before long the dog was placing the bids while poised in the arms of John, his wife Jeanette, or one of the Staluppi’s grandkids. Naturally, TV audiences ate it up and little Dillinger became “a thing” at Barrett-Jackson for many years. With each winning “bark”, Staluppi accumulated another addition to his Cars of Dreams collection of more than 125 top-tier vehicles. 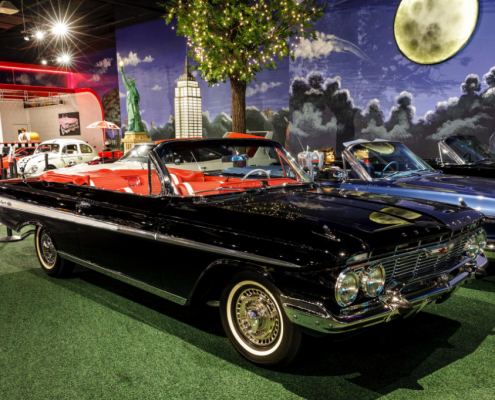 Located in North Palm Beach, Florida, the Cars of Dreams collection is stored inside a former department store with more than 70,000 square-feet that’s been decorated with props and street scenes depicting New York City. Only open four times a year, Staluppi’s private Cars of Dreams collection isn’t available for weddings or birthday parties. Rather, John works with charity organizations to help raise funding for law enforcement, children’s health programs, and heart disease and cancer-prevention research. 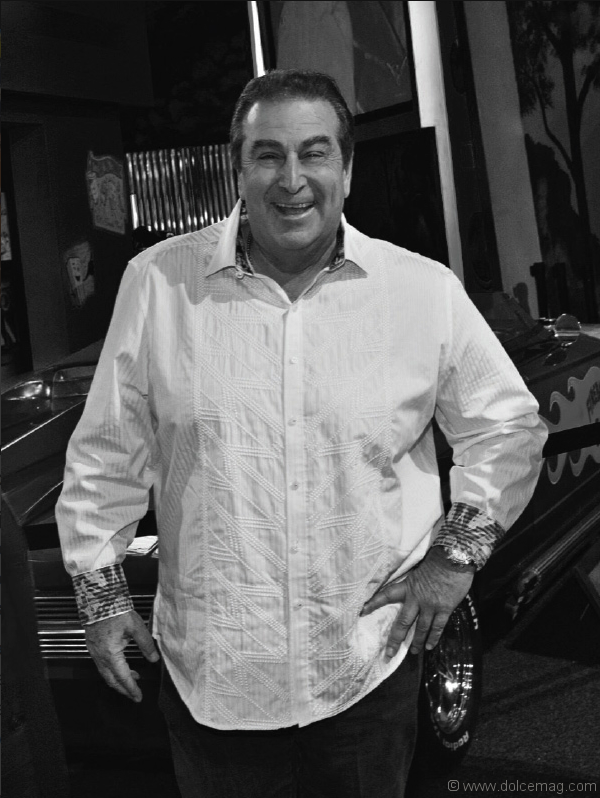 We recently visited with John Staluppi to learn more about his background, his plan to “shuffle the deck” by selling 125 cars at the upcoming Barrett-Jackson collector car event in West Palm Beach, Florida, and the plan to replace the sold cars with a whole new stash of classics. Sadly, little Dillinger has gone to TV dog heaven to frolic with Rin Tin Tin and Scooby-Doo. But fear not, another Maltese pup, this one named Buddy, will take his place. Whether Buddy shares Dillinger’s passion for collector cars and being in the limelight remains to be seen. 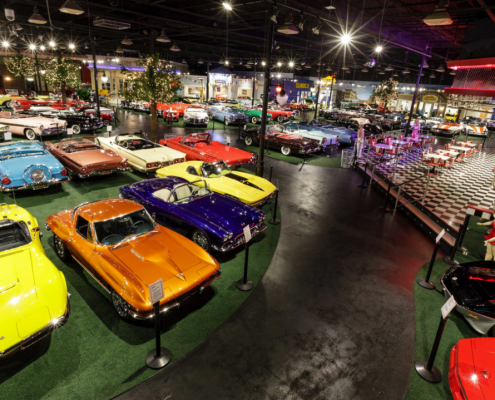 But either way, with Mr. Staluppi on the hunt for 125-plus new classic cars to replenish his Cars of Dreams collection during the next year, the story is far from over! HRM) Where are you from? JS) I was born in the Bensonhurst neighborhood of Brooklyn, New York. After a family move to Long Island, I then moved to Florida around 1977. HRM) What was your first car memory? JS) My father had a 1950 Nash four-door, one of those upside-down bathtub looking cars. It was a standard-shift car with the usual column-mounted gear lever, and Dad took the family to upstate New York for a vacation one time. Somehow I ended up alone in the car and was playing with the shift lever. When I got out of the car, I left it in Neutral. The next minute, the car comes rolling through the woods and my Dad was saying, “Whose driving through the woods?” Then he realized it was his car. I got in big trouble for that one. That Nash was one of the big ones with the fold-down seats you could camp in and a body that looked like a big beetle. 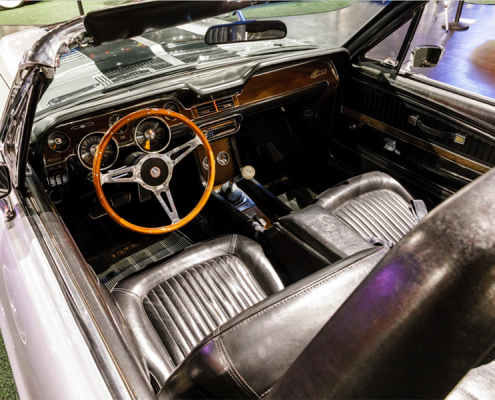 The dash had this one central pod for the speedometer and gauges, they called it the “Uniscope.” It was a neat car. HRM) At present I don’t see a Nash Ambassador in the Cars of Dreams collection, rather I see lots and lots of convertibles. What is your favorite car? JS) I’d say my favorite car is the first Corvette I ever bought, a 1962 in Tuxedo Black. We didn’t have a lot of money, but my family helped me buy it by taking out a second mortgage on our home. It cost $3,100 back then and was a demonstrator model the dealership had for a discount ($4,038 was the base sticker price). I lived right around the corner from the Brooklyn-based Chevrolet dealer that had the car. But that was my first car that was mine. So to answer the question about what’s my favorite type of car, that’d be Corvettes at the core but followed closely by Chrysler 300 letter cars. HRM) Wow, that’s the other end of the spectrum. Or is it? JS) Those early 300’s could be very sporty cars. With their stiff suspensions, standard dual-quad induction, big tires, and upsized brakes, they handled better than you might expect. In a sense, a 300 convertible was like a four-seat Corvette. I had many jobs as a kid- I was a mechanic at the Chevy dealer I just mentioned, and a little later I worked as a lifeguard in upstate New York at a resort called Villa Maria. One of the head managers at the resort had a 1960 Chrysler 300F hardtop. It was blue and with the 413, and we used to go out and tear up the highway. It was an unbelievable car and started my love for 300 “letter cars.” It had the swiveling seats, the clear “Astra-Dome” bubble covering the instrument cluster, the massive Exner-era tail fins and being a 1960, was the first year for the ram induction setup (1955-1959 300’s had dual quads arranged inline atop a non-ram manifold). I remember everything about that car. It was a true bad boy and made the 1960 Chrysler 300F my absolute favorite car. HRM) Your Cars of Dreams collection is known for being one of the few collections with such a wide variety of letter-series Chrysler 300’s. Tell us more. JS) I have almost one of every letter-series Chrysler 300 here except for the 1959 300E. A total of only 690 1959 E’s were built, of them only 140 were convertibles. Finding a good survivor or even a solid restoration candidate is next to impossible. But that’s the fun of it. At present, I’m selling just about everything you see here in the Cars of Dreams collection. My plan is to fill this building one more time. This go-round, I’m aiming to have a truly complete collection of Chrysler 300 letter cars – including the elusive 1959 “E” – in both body types: hardtop and convertible. I’m a little bit on the fence with the 1962-1965 300s. First off, Chrysler abandoned the tail fins for 1962 but more seriously, Chrysler added a non-performance, non-letter 300 model that could be had with four doors. So to me, the 1962s aren’t as hard-core as the 1955-1961s. So I’m not sure I’ll expend as much effort acquiring 1962-up letter cars for this final go-round. HRM) You’ve had some race cars, what was the first? JS) That would be a 1955 Chevy. It was green, and I’m superstitious. Too many times to count, any green race car I’ve owned would blow up on me. It’d break a rear axle, transmission, or something else. We gave that ’55 the name “Mister Jinx.” Eventually we got all the bugs worked out of the car, and I ran it in C / Modified Production (C/MP). That was around the mid-1970s, and the track we used was Englishtown in New Jersey. Vinny Napp was the track manager, and we ran it often enough to hold the C/MP national championship title for a while. We also raced at Westhampton Dragstrip on Long Island and even as far away as Bristol, Tennessee’s so-called “Thunder Valley,” a great strip that’s still very active today. We had a lot of fun back then with Mister Jinx. HRM) Did you do the driving? JS) Oh yes! 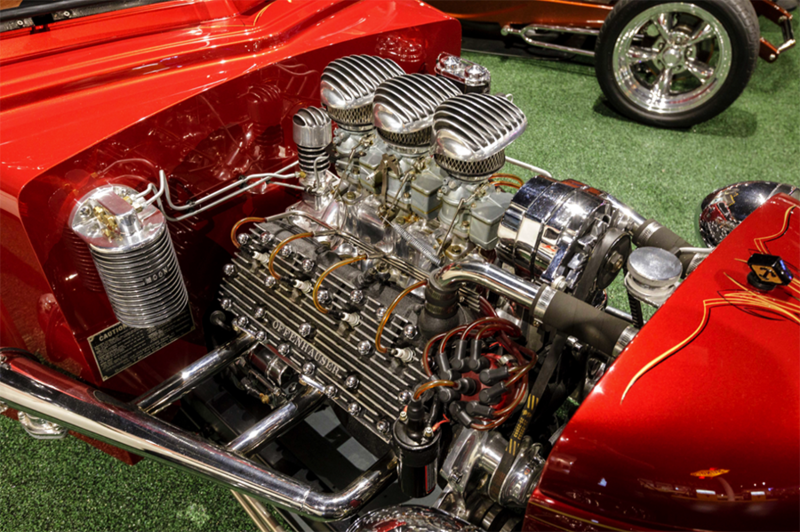 Modified Production allowed a fair amount of changes, so the original 265 V8 was replaced by a 327 with a Mickey Thompson cross-ram intake manifold. We had to remain naturally aspirated but worked in the usual modifications like high compression, a wild solid cam, hotter ignition, and, of course, a four-speed manual transmission. I ran a set of 5.38:1 rear axle gears and used to leave the line at over 6,000 rpm. It’d come out of the hole like a rocket ship. HRM) Are you a stick man or do you prefer automatic transmissions? JS) In the earlier days, I was a four-speed maniac. Three-speed on the tree is kind of sloppy- really antiquated. I do like the automatics of today, especially the types you can shift like a stick if you want to. They’re pretty much bullet proof. When you hit traffic, when you have to start shifting, that was fun when I was a kid. But now, at this point in life, I like to enjoy some comfort while I drive. 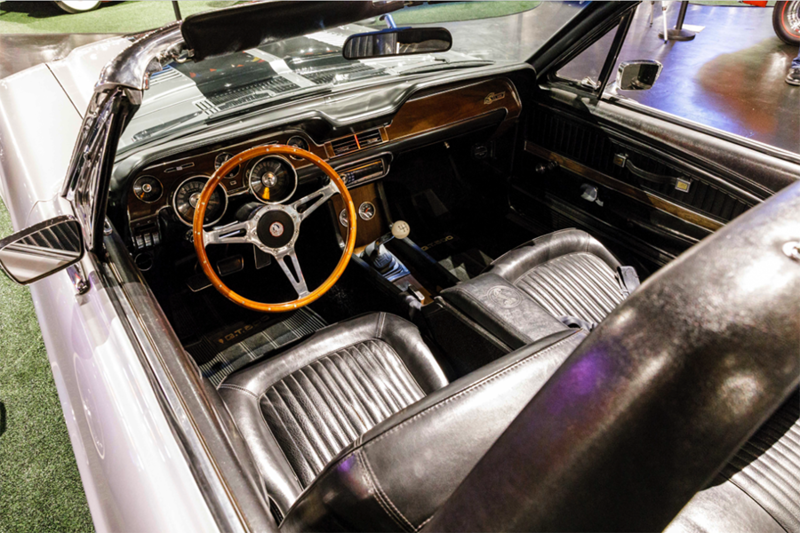 Plus, most cars today only come with an automatic transmission, but again, the manual-shift mode does a pretty good job of simulating the old days – minus the left leg work. HRM) You managed to locate – and buy – your first Corvette (the black 1962), so have you had any luck finding Mister Jinx, that 1955 Chevy drag car? JS) Naah, that car is long gone. We sold it to a bunch of guys who continued racing it until it blew a tire and went off the track. I’m pretty sure the car was stripped to a shell then junked. HRM) Beyond the Cars of Dreams collection, you’ve built and owned a series of 100-to-200-plus foot aluminum-hulled yachts and have a private jet. Success is obviously part of your life, how did it happen? JS) I started as a mechanic in Brooklyn, then I opened up a gas station. Then a Honda motorcycle dealership franchise became available to me in Queens, on Queens Blvd. I was also a big motorcycle rider and we sold a lot of Honda ‘cycles in the mid-to-late 1960s. By the early 1970s, I was also selling the Honda 600 minicar in fair numbers. But it was the arrival of the larger Civic in 1973 that was really the beginning of true success. Sales were strong enough to allow the addition of more Honda dealerships, in Long Island and other locations. Those little Civics sold very well and I started making the real money. That allowed me to repay my debts to my parents, who funded my early efforts. HRM) How many Honda dealerships did you grow to, and did you add other brands as well? JS) In the 1970s, I had five Honda car dealerships and three Honda motorcycle dealerships, and then my first domestic brand was an Oldsmobile store. It was located in Brooklyn, and the success of that led to me getting some Chevrolet outlets. By the late 1980s, I had 42 car dealerships and was the largest privately-held car dealer in the world. Then interest went to 21 percent, and boy the debt load was heavy. I ended up selling off some of the good stores, and kept the bad stores, not that any were really that bad, but we turned them around and kept growing. Today, we’re the third largest privately held car sales company in the country. We do about 70,000 new cars per year, and about 30,000 used cars per year. HRM) Who runs it all? JS) It takes a great team, and my partner who helps keep the Long Island dealerships running is Michael Brown. My son John Jr. has stores in Las Vegas, and my son-in-law Scott has car dealerships in Queens, Great Neck, and Long Island. In fact, John Jr. is also a vintage car collector. He’s got about 35 or 40 classics out there in Las Vegas. HRM) Are these many dealerships recognizable with names like “Staluppi Motors” or some name HOT ROD readers could seek out? JS) They all carry the name “Atlantic”, “Advantage”, or “Millennium.” The Atlantic name stems from my first Oldsmobile (then later, Chevrolet) dealership, which was called Atlantic Oldsmobile. 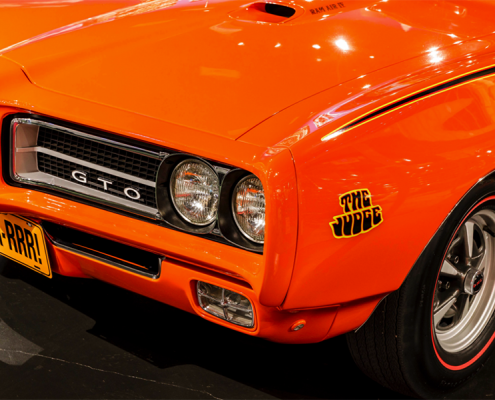 HRM) Switching gears back to vintage and collectible cars, when you’re buying, what do you look for? JS) I’m all about the hunt. I always buy cars I used to work on or knew about when I was a kid. Cars of the 1950s, 1960s, and 1970s were things I worked on, bought, sold, raced, and modified, when they were brand new. Not so much with the cars of the 1980s. By then, I had outgrown much of the hands-on, greasy fingers part of it. When I buy, I seek the finest looking examples and typically avoid unfinished projects. I prefer finished cars because it is all too easy to fall into the trap where you invest more than you’ll ever get back. Sure, if you can do the work on your own, and have the necessary skills to do good work, you can turn out a fine example. But when you add up the hours charged by any professional restoration business, a sure return on investment is rare. This is a labor of love. People who restore these cars spend thousands of hours on them, and finding missing parts is another side of it that can get costly, so I’m attracted to finished cars. HRM) Are there any cars that you refuse to buy? JS) I’m not a big fan of some of the more obscure vintage foreign cars. It’s about impossible to get restoration parts [for them]. I’m also not a huge Ferrari guy. Except for the pinnacle cars like the 250 GTO and such, I don’t really see the value. HRM) No doubt it’s a lot of work to find, buy, and store so many cars. To some people, what you have here on display would be an acceptable life-long accomplishment. But you are about to sell 125 cars at the 2018 Barrett-Jackson West Palm Beach, FL collector car auction and start again. Why? JS) I get bored. Again, with me it’s about the chase. My main business office is also contained within this structure (a former department store). When I need a break from the daily “brain damage” of keeping track of business, I’ll come out and restore my equilibrium with these wonderful vintage machines. It’s a lot of fun. I’m also a big fan of Lionel trains and have a large, running diorama in its own special room. HRM) Anyone who has watched the televised Barrett-Jackson collector car auctions knows that you are known for buying the best examples available. Consignors also understand it’s a very good thing when you are bidding on their offerings because price is not an obstacle. 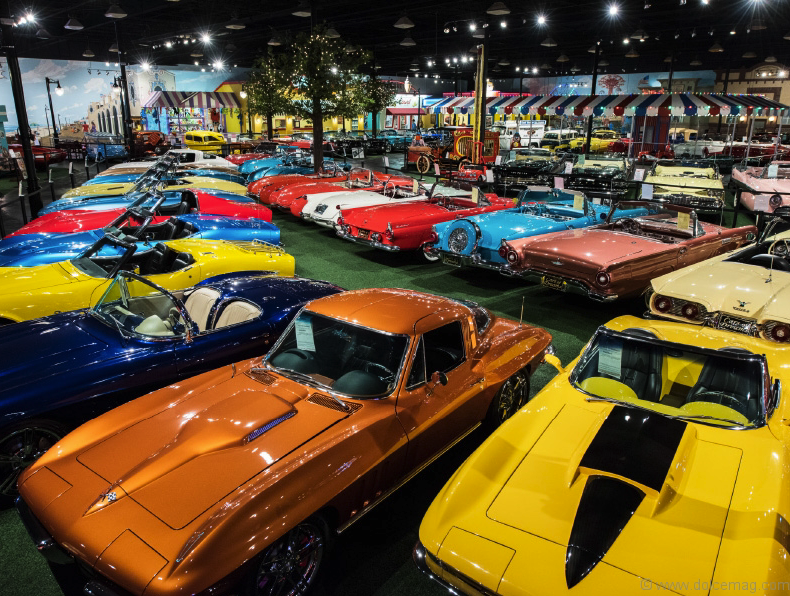 Once these cars become part of your Cars of Dreams collection, are they treated differently versus other car collections? JS) One thing that sets my collection apart from many, is the fact you can jump into any one of the cars on display, drive it out the door and go for a cruise. On the four-speed cars you don’t have to worry about it jumping out of gear because of bad synchros, the lights all work, they are all ready to go. I keep a staff of full-time mechanics led by Dave Crews, and there’s a multi-bay garage at the back of my display room to assure each car is road ready. If I buy a car and issues present themselves, we correct them. That way, when someone buys a car from my collection, they can buy it with good confidence. We exercise our cars, and that’s crucial in this day of reformulated gas that goes bad and gums up carburetors. By exercising the cars, the seals don’t get dried out and it makes a huge difference compared to cars that might sit idle for years at a time in other collections. HRM) What’s more important to you, matching numbers, or a quality presentation? JS) I like numbers-matching, but to me what’s more important than that would be the quality of the car, the quality of the restoration. Most of my high-end cars are numbers matching, but the plus to me is the way the car is restored- the quality of the chrome, the quality underneath the chassis, the nooks and crannies. Were the body mounts replaced? Are they detailed to the same degree as the grille? That’s where the value is. 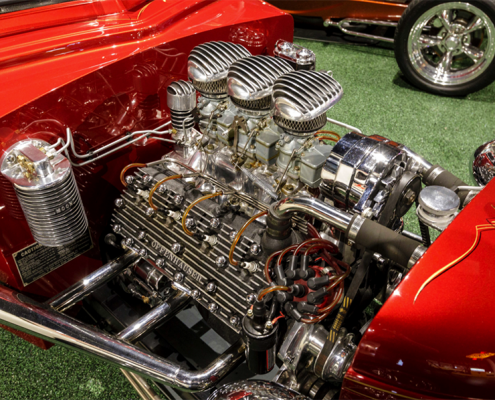 When you pull up to a car show, 90 percent of spectators don’t know what numbers matching means. But they do see a quality build, and that’s what I go after. The truth of the matter is, when I worked at Chevrolet, and we would get muscle cars with damaged engines, we simply changed short blocks and tossed the original “numbers matching” parts in the trash. Truth be told, after the repair, the engine was like new. The tiny stamped numbers on the block didn’t play into the equation whatsoever. On most pre-1968 cars, and the vast majority of 1950s cars, numbers-matching status isn’t as important because many cars simply lacked the numbers in the first place. So that’s where we turn our focus to the quality of the paint, chrome, interior, glass, and overall restoration. JS) That’s an area that I appreciate. Numbers-matching status has no bearing here, and that’s liberating. I have a number of resto-mods in this collection, and I bought them for the quality of execution. But again, in every case, you could take it out of my building and drive it to California. The air conditioning works, they handle well, the transmissions have overdrive, and they’re usually much faster than any original model. I think resto-mods and resto-rods are where the value is. I think resto-mods are worth a lot more money than a stock restoration. I understand the allure of original equipment, but in today’s world, a top tier resto-mod with good ingredients and craftsmanship is a better buy than a relic restored with original-type bias ply tires, a three-speed manual transmission, drum brakes, and king pin front suspension. HRM) What are some cars that are under-valued in today’s marketplace? JS) Big Cadillacs from the 1950s and 1960s. Cadillac is like a symbol, especially with the Eldorado and Eldorado Biarritz, those are real cars. You look at the bumpers, the stainless steel roof material, the interiors with golden threads, I think these cars are very much undervalued. I feel they will climb much higher as more people understand what they represented. Taking it further, I think all of the finned cars from the 1950’s are poised to appreciate. I’m also big on Chrysler finned cars of the Virgil Exner era. Not just the letter-series 300s we talked about already, but the Dodge D500s, Plymouth Furys and DeSoto Adventurers are really important cars that are blue chip investments. HRM) Modern cars have to pass so many government crash, pedestrian safety and efficiency standards, their designers’ hands are tied. Its’ rumored that Dodge Challenger stylists intentionally gave up something like 1/2 of a mpg in 2008 to allow for the distinctive tunneled grille and “frowning brow” headlamps that give them so much identity. Do you think new cars will ever be distinctive again? JS) I have a hard time looking at a Lexus or a Mercedes or a BMW, and I’m in the business as a dealer. Its’ hard to say make and model is which. Back then, you knew- that’s an Oldsmobile, that’s a Buick, that’s a Pontiac, that’s a Dodge, etc. You don’t see that now. I feel the carmakers need to add more visual variety and identity to their offerings. HRM) Can you hint at what direction the next Cars of Dreams collection will take? JS) This is something that’s a passion to me. Doing this one more time in my lifetime, my next collection of cars will be more of a variety. 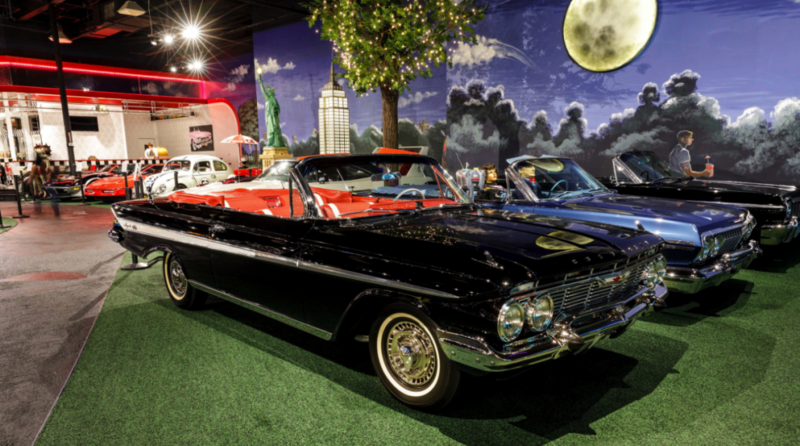 At present, Cars of Dreams celebrates the convertible body type. But for the next go around, I want more variety. Yes, there will be convertibles, but I also want to go after hardtops and even some wagons. Then I can take it in a different direction. At present, if you look around Cars of Dreams, the only reason you don’t see a convertible on display is when the factory didn’t offer it that way. An example would be the 1956-1957 Lincoln Continental MKII. Except for two factory prototype convertibles in 1957, the MKII is strictly a hardtop. If ever there was a car that deserved to be offered as a drop-top, the MKII is it. And know this, if one of those factory prototype convertibles surfaced, I’d pay the money for it! Another thing I want to point out is that there are two vintage fire trucks in the collection right now. They actually run, and I use them for parades. I had my shop install air conditioning inside one of them because it was so popular, we decided to make it more enjoyable here in the Florida heat. Commercial and emergency vehicles are interesting to me as well; I even have a Ford neighborhood ice cream truck I’ll be selling. HRM) When you say the word “collection,” how many cars do you have? JS) I keep about 130 cars here plus another 8 cars I keep at my home. Again, every one of them is ready for the road. Sometimes for fun, I’ll invite four or five buddies to come by then I’ll ask them which cars they want to drive, and we’ll gas them up and then attend a car show or cruise night. HRM) Besides vintage cars and Lionel trains, you also enjoy ship building. Tell us about it. JS) I’m building a new yacht now, which will be the ultimate, ultimate boat. I sold Diamonds Are Forever and Skyfall (Google them, dear reader, you’ll be amazed). This new one is a 230-foot boat that is going to be the ultimate yacht that’s ever been built by a person. We are hoping that for next year to have a party on it. HRM) Back to the next collection, how does that get started? JS) It isn’t about buying 130 cars, it’s about buying 130 great cars. In addition to having one of every 1955-1962 Chrysler 300 letter-series body type, I hope to focus on Oldsmobiles from 1950 through 1960. I want one of each model in each body configuration. 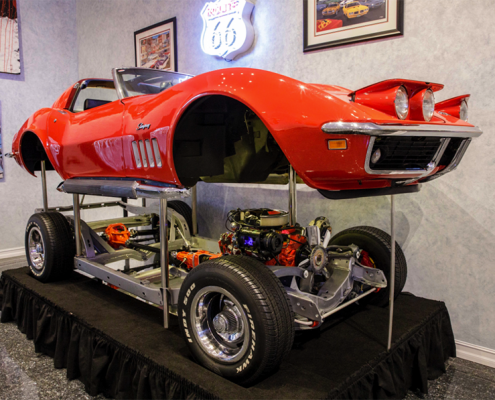 More Corvettes will be added from each era, and I’m not against resto-mods representing specific years. HRM) What does the future hold for the Cars of Dreams collection? JS) After the next round of acquiring cars to replace the ones I’m selling at the April 2018 Barret-Jackson sale, I want to eventually pass it down to my son, John Jr. and my grandchildren. John Jr. lives in Las Vegas. He is mostly into Mopars and has about 35 cars there. As for the next round of purchases, I’ll open the door to a wider variety of cars. I’ll be at the auctions, buying and buying and buying. I’m excited to do this again. HRM) What is it like when you are bidding on a car and suddenly there’s a TV camera pointed at your face? JS) I gotta be honest- it’s fun. Sometimes when I’m bidding, it becomes like a war with me. Sometimes my wife Jeanette will be there with me while I’m bidding, and she’ll be asking, “are you crazy?” Then my cell phone will go off with calls from friends who see me on TV bidding who want to chime in on the action or they’re texting me “don’t lose that car, it’s a good one.” Meanwhile I’m thinking to the auctioneer “drop the hammer, drop the hammer!” The best is when my grandkids are there and they’re saying, “Poppie we’re not going to let that guy beat us? I say, ‘no way, no way’.” Sometimes it’ll cost me because the ego gets in front of the brain. One thing that used to happen to me at auction that I don’t let happen anymore is when a car shows up under the lights and I haven’t really checked into the underlying quality. When there’s a car on the docket list that catches my eye, now I make sure to get a close inspection in the days before it hits the block. That’s one of the reasons I like Barrett-Jackson, they stage the cars under the tents and in the lines for several days before they sell. This gives ample opportunity for close inspection. Once the car is on the block, there’s really no time to inspect it very closely, it becomes like a big race. 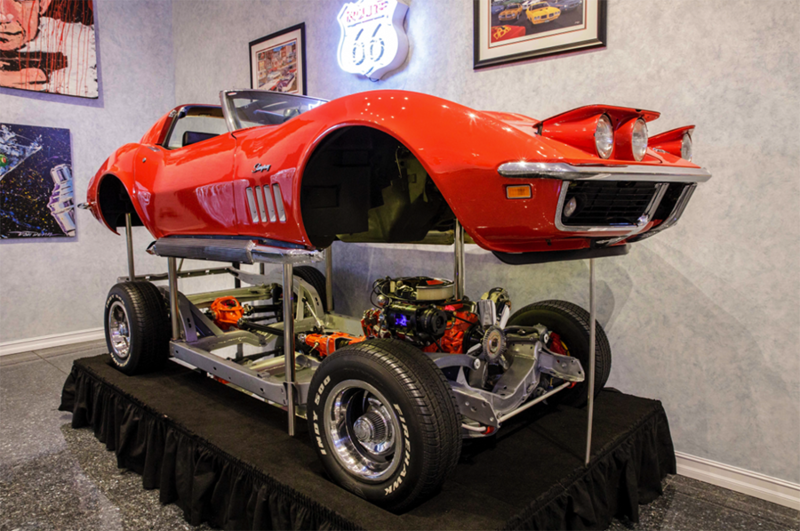 But overall, I look forward to every Barrett-Jackson auction. I love it. It’s fun. 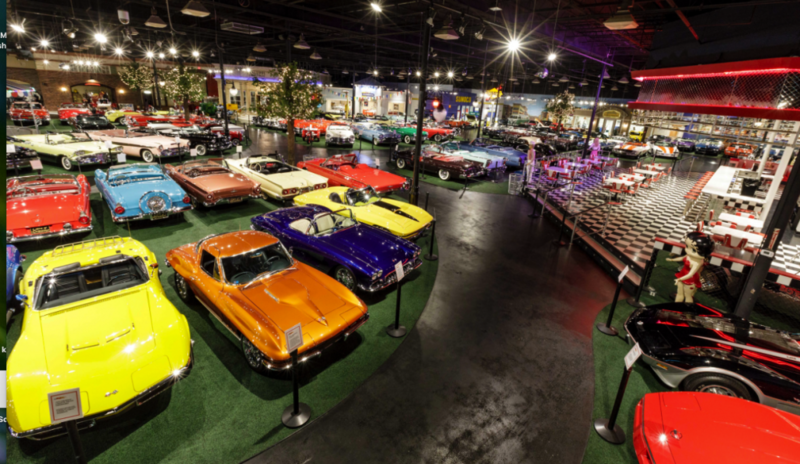 For information on how to bid on Staluppi’s highly sought-after Cars of Dreams Collection and other items at the April 2018 Palm Beach Auction, follow the link below.